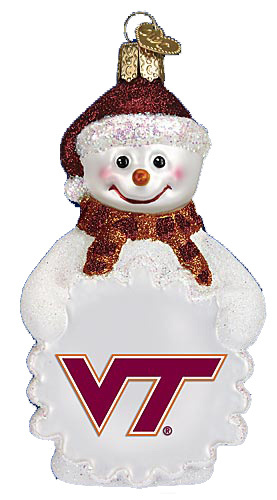 Collegiate Ornaments from Merck Family's Old World Christmas. 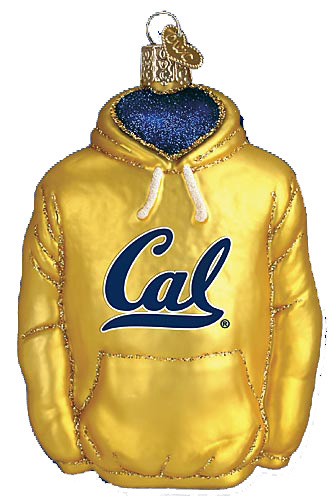 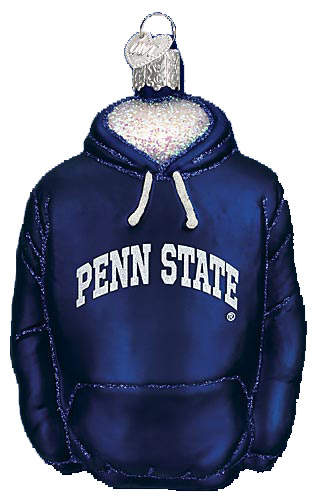 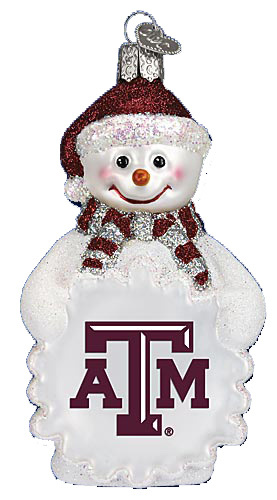 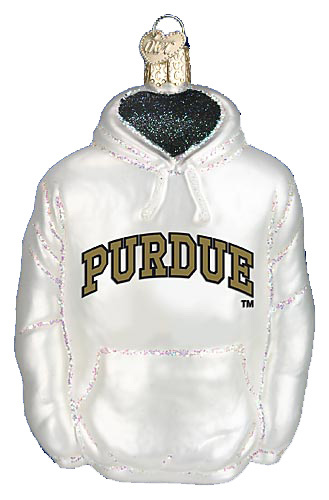 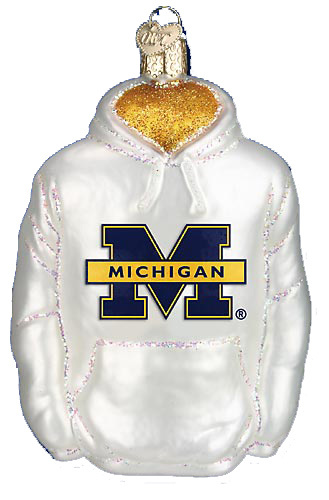 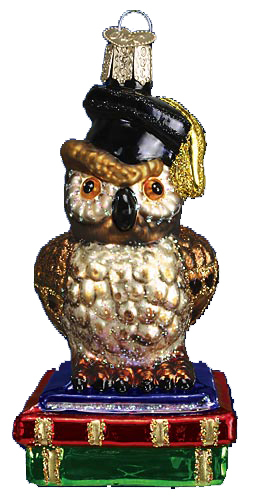 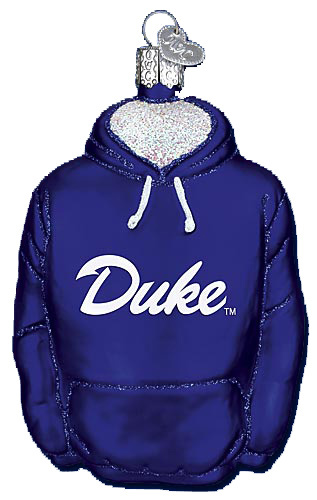 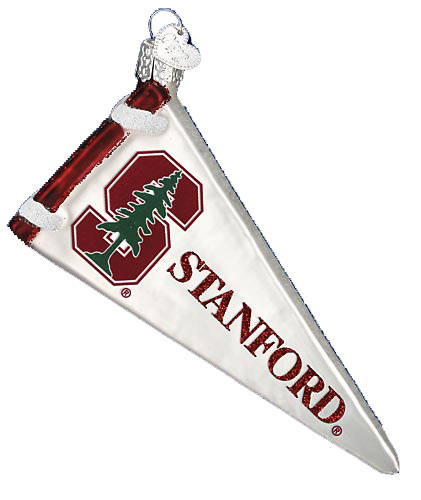 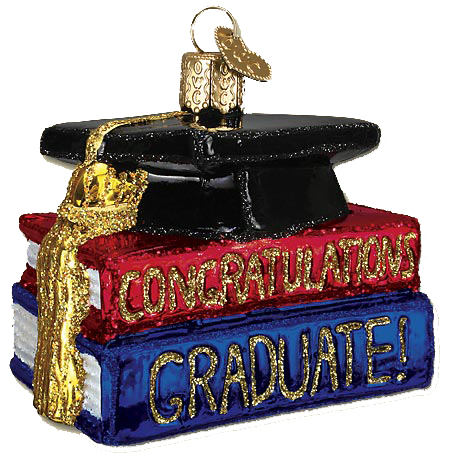 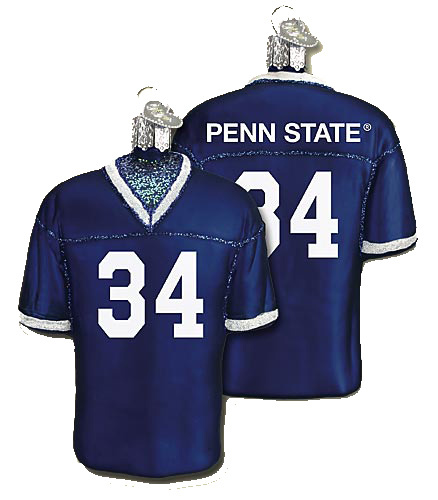 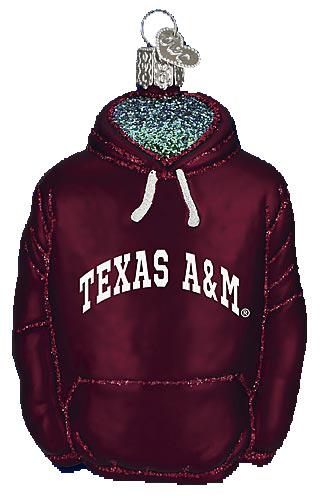 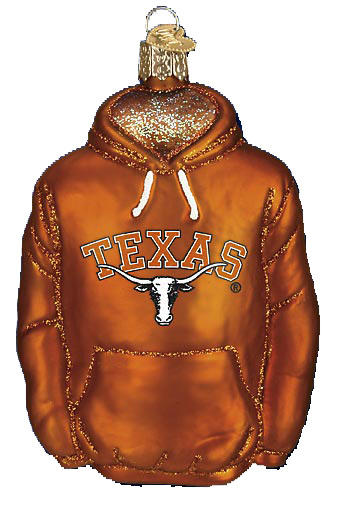 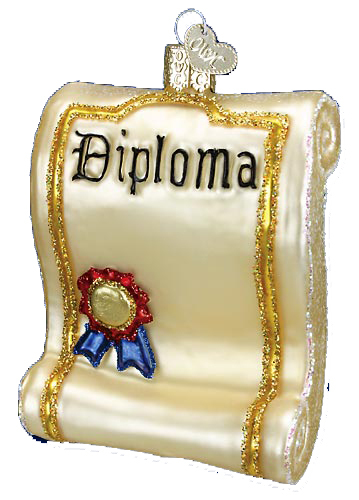 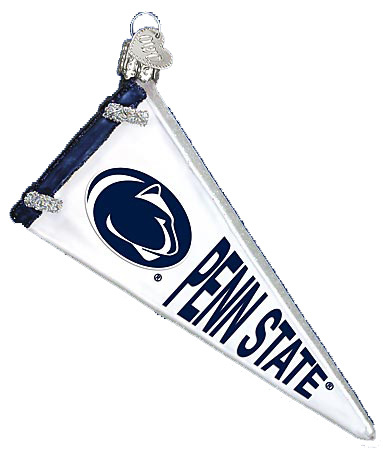 Licensed Collegiate ornaments are pre-packed individually in a specialty box. 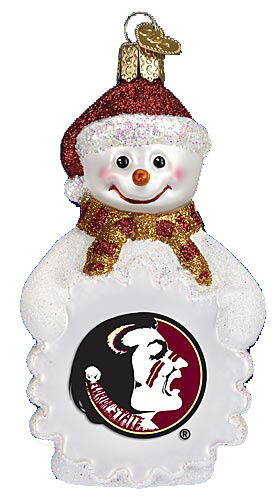 Florida State Snowman, 4 ½"
California Berkeley Hoodie, 4 ¾"
Texas A & M Hoodie, 4 ¾"
Texas A & M Snowman, 4 ½"
Virginia Tech Snowman, 4 ½"
Penn State Football Jersey, 4"
Penn State Hoodie, 4 ¾"
Penn State Snowman, 4 ½"
Penn State Megaphone, 4 ¼"